In the run up to Christmas, I always like to ensure my skin is in tip top shape as it's likely to take a bit of a battering with the increased makeup you end up wearing during the festive season. 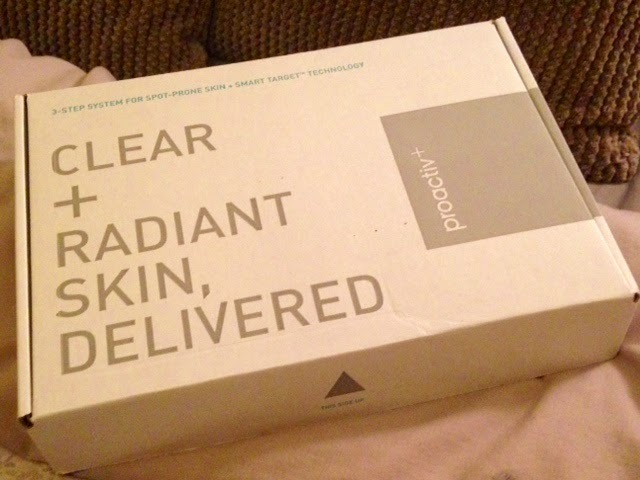 I was recently sent through the Proactiv+ Trial Set to try and I thought I would give it a whirl to see if it lived up to the hype. 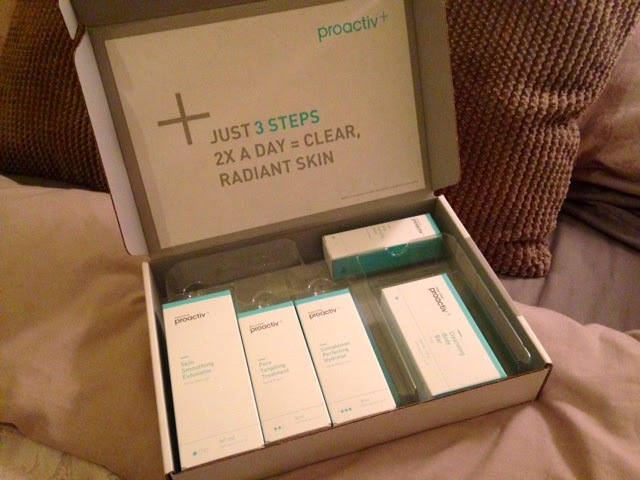 I had heard of Proactiv before, but only as something that was available in the US so I was quite excited when I heard we can now access this in the UK. With some fairly big celebrity endorsements in the States I was genuinely intrigued to see what it could do for my skin. The range is a cleanser/gentle exfoliator, a pore targeting treatment and a complexion perfecting hydrator. I have tried it for a few weeks now and I am really quite impressed! I would say that it is perhaps a bit more than I need 'treatment' wise for every day use, but when I first started using it I had quite a few blemishes on my jawline and these seemed to clear up very quickly. It has a fresh clean scent and feels pleasant on the skin. 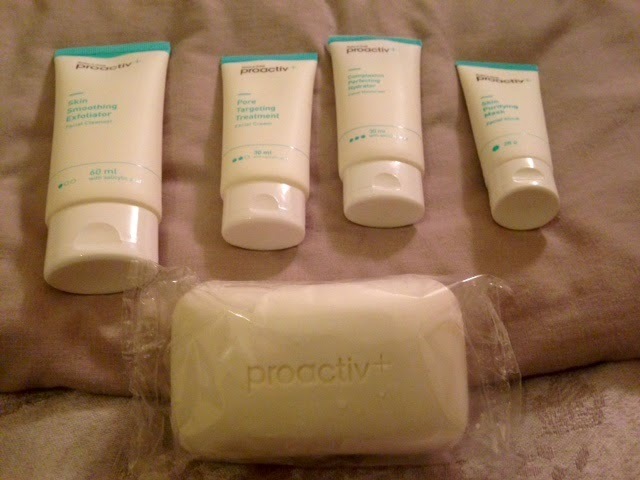 My skin seems to have remained blemish free aswell for alot longer than usual so I am definitely putting it down to Proactiv+. 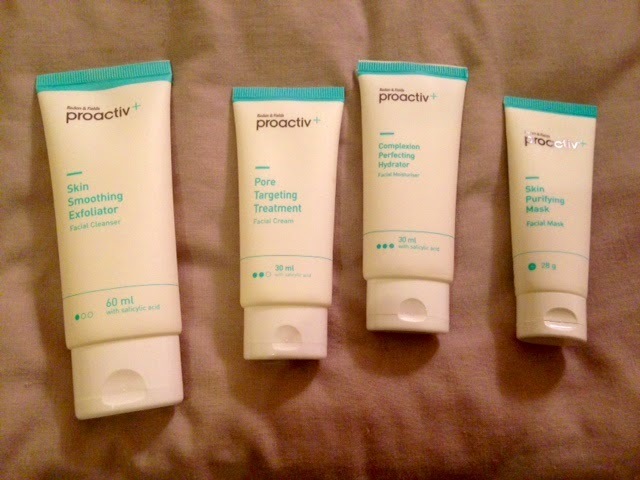 I think for £20 this skin care range is really good and I will be continuing to use it. I have been using it if my skin has felt oily, with blemishes coming through etc and I have been finding that the spots don't end up arriving or if they do they are much less red and angry looking than they would usually be. Big thumbs up from me!! !